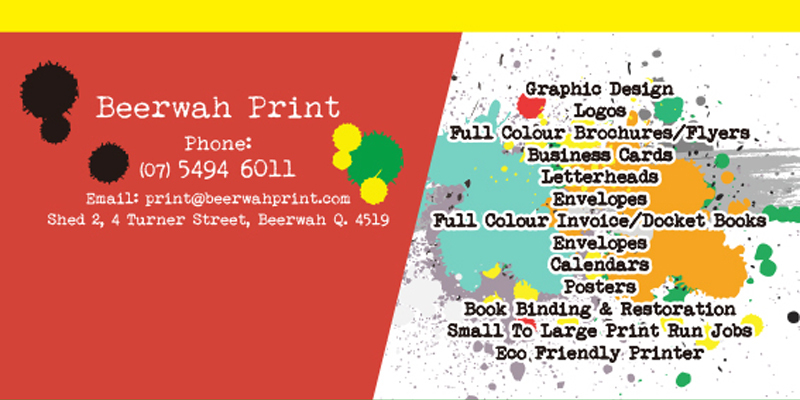 Beerwah Print is a fully equipped commercial printers offering a diverse and specialised range of printing services to the Sunshine Coast Hinterland. We offer small to large print run jobs. Please contact us on (07) 5494 6011 to speak to one of our friendly team to arrange an appointment.